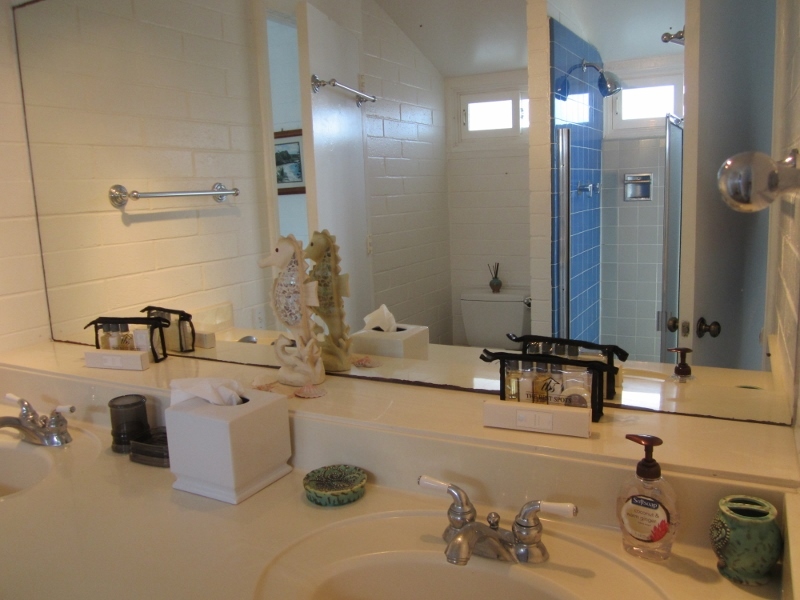 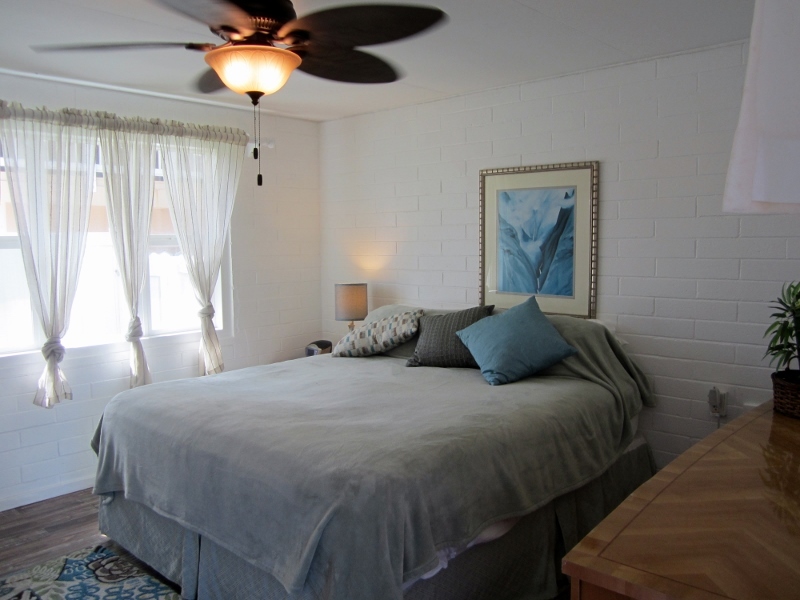 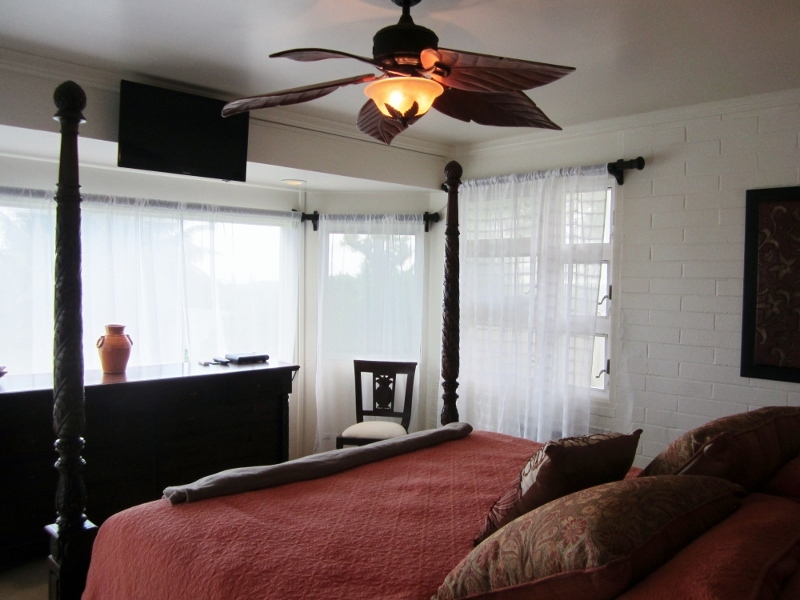 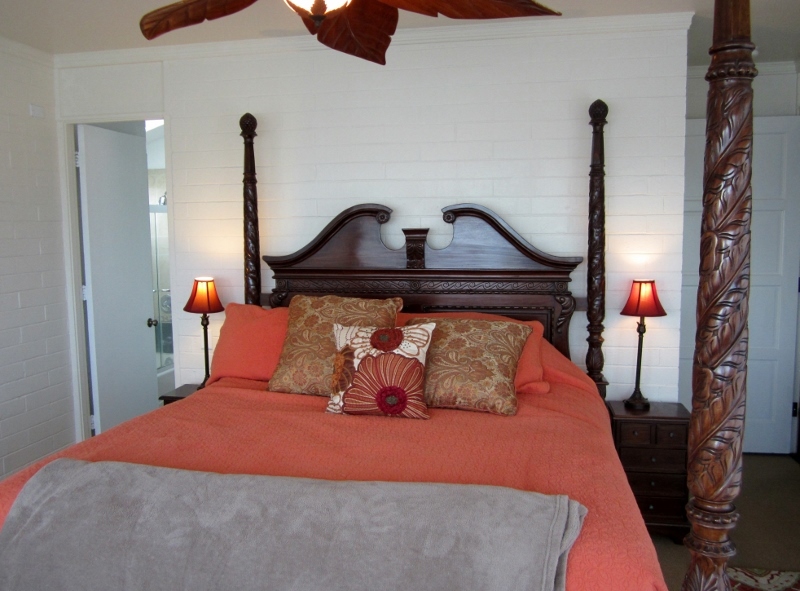 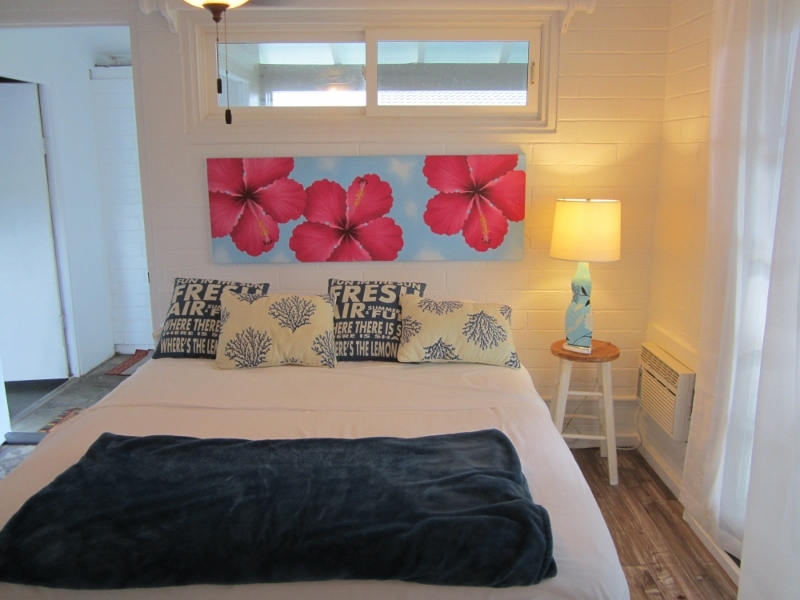 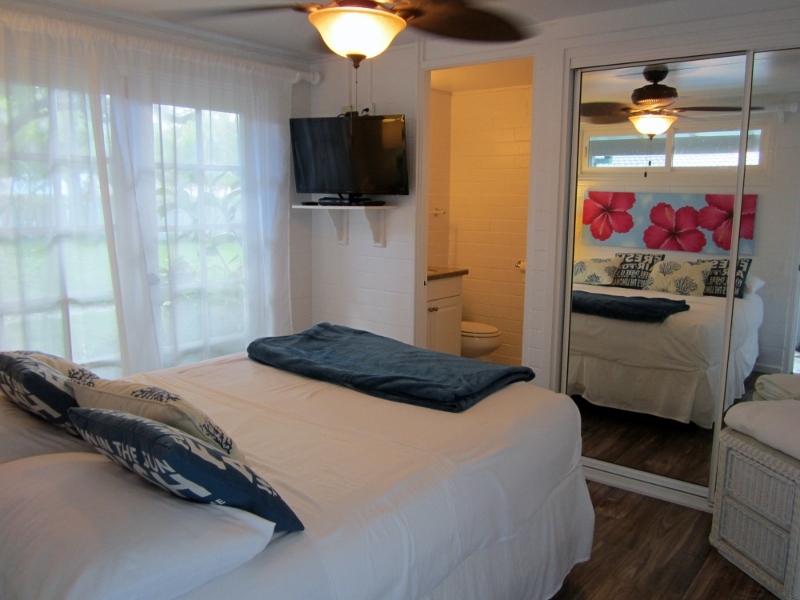 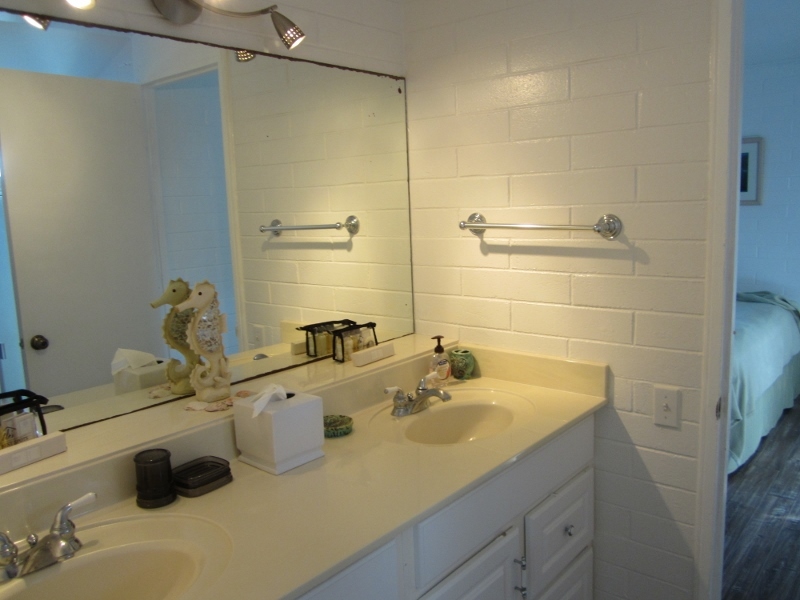 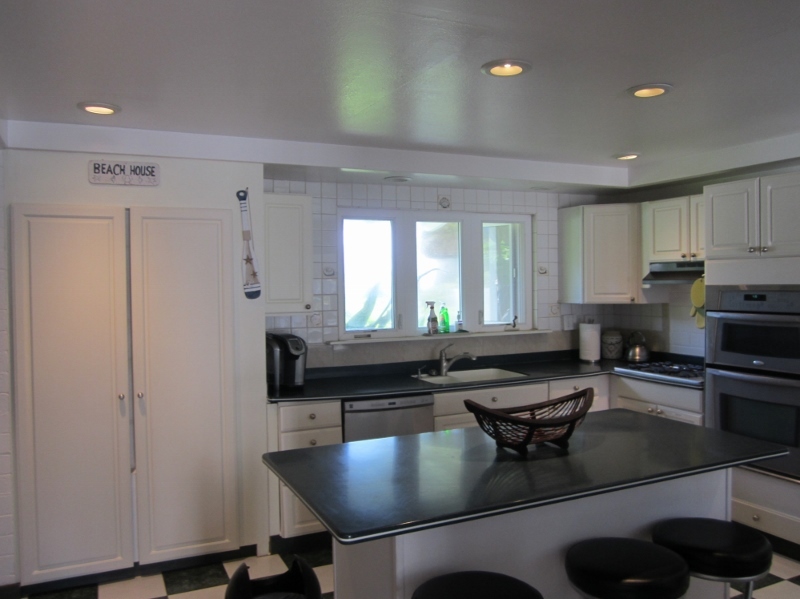 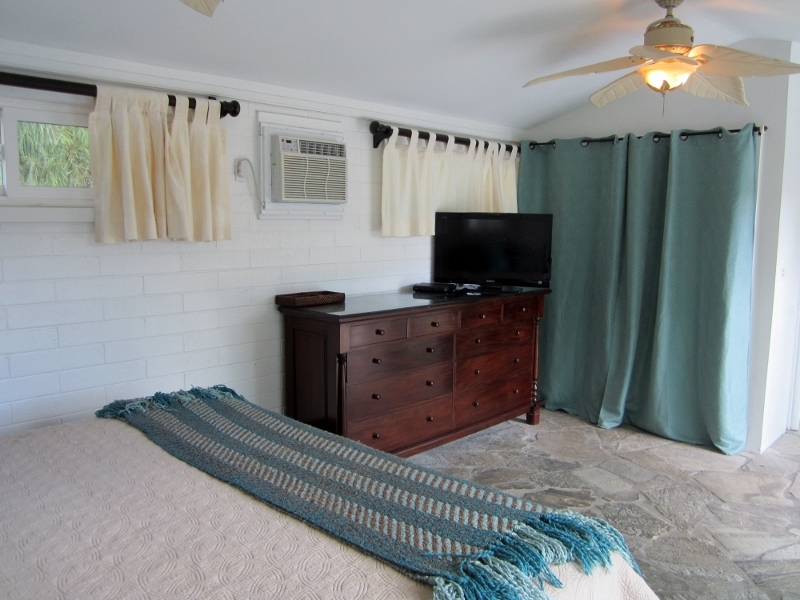 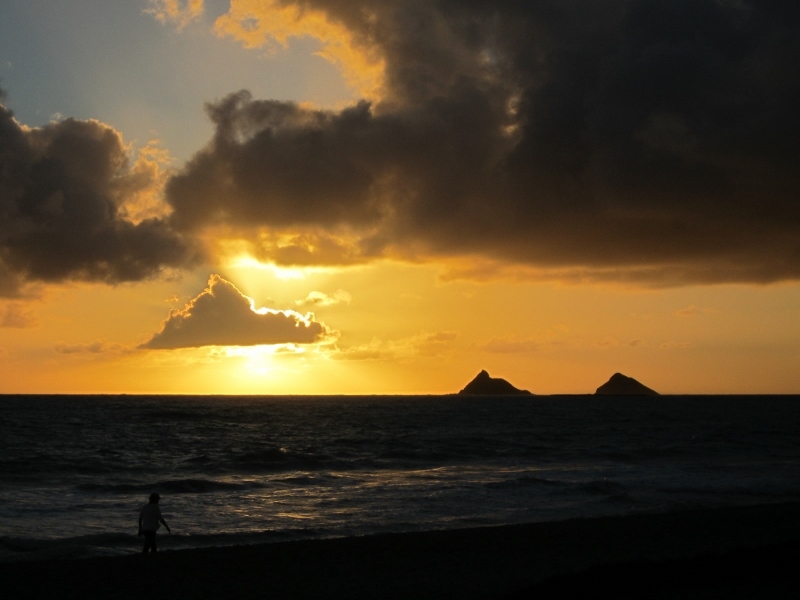 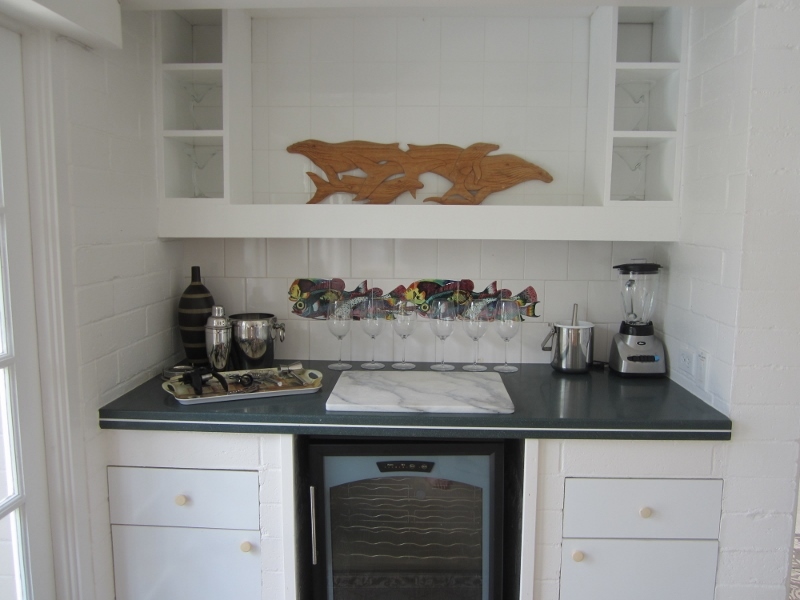 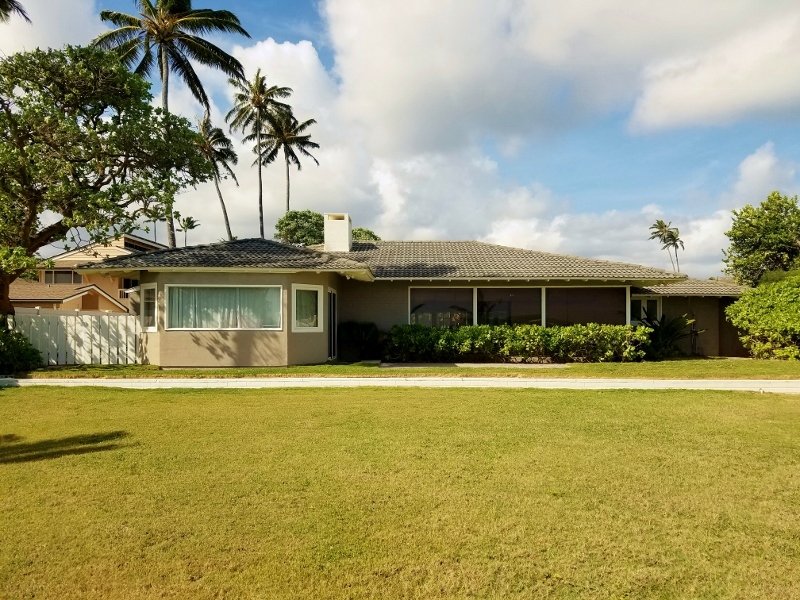 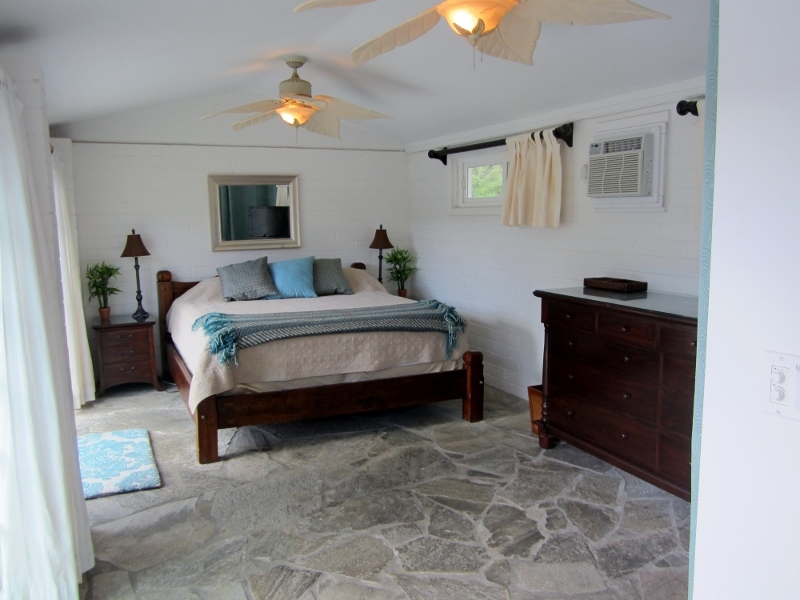 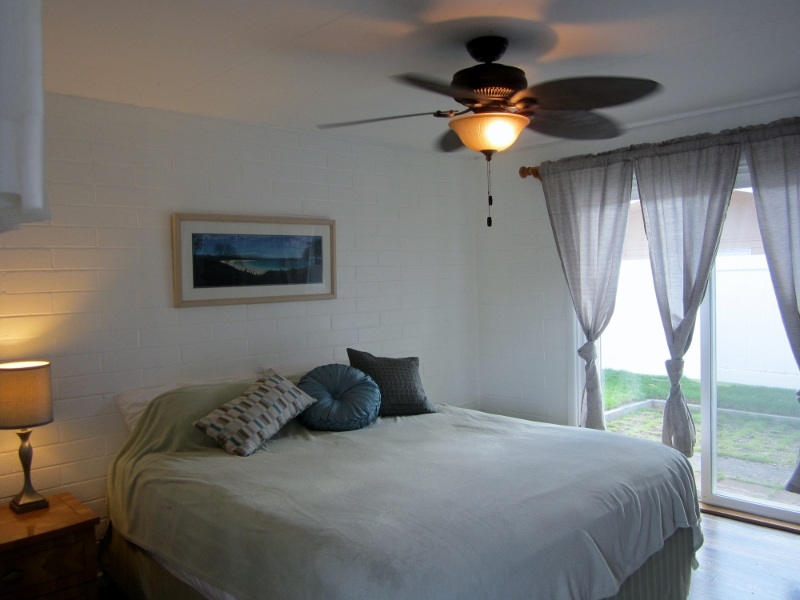 Mahina Kai – Luxury Vacation Homes, Inc.
Mahina Kai is an original Kailua beach home which has been remodeled with 3,100 of interior living space with a large beachfront backyard. 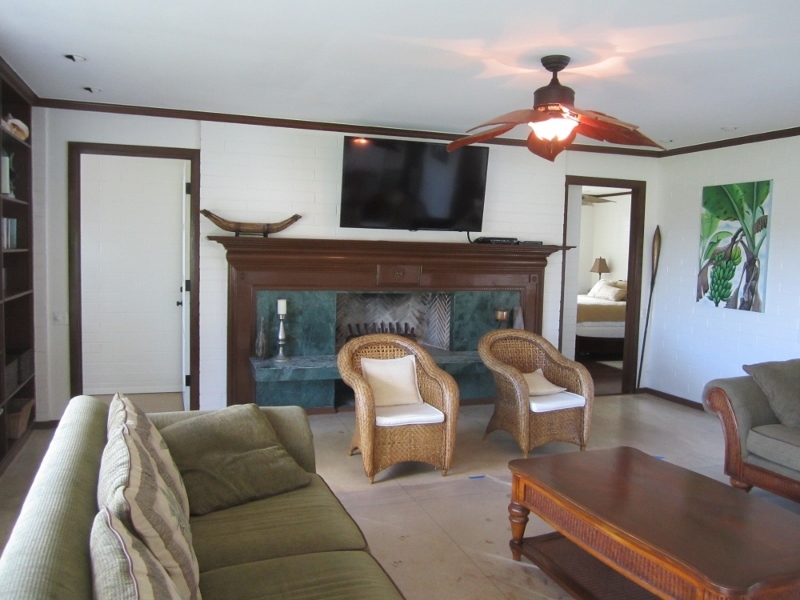 This beachfront property has two bedrooms, each with its own private bath in the main house, building 1; a third bedroom, private bath and a dry sauna in building 2; a fourth bedroom and private bath off of the 2 car garage in building 3; and the fifth and sixth bedrooms with one shared bath in building 4. 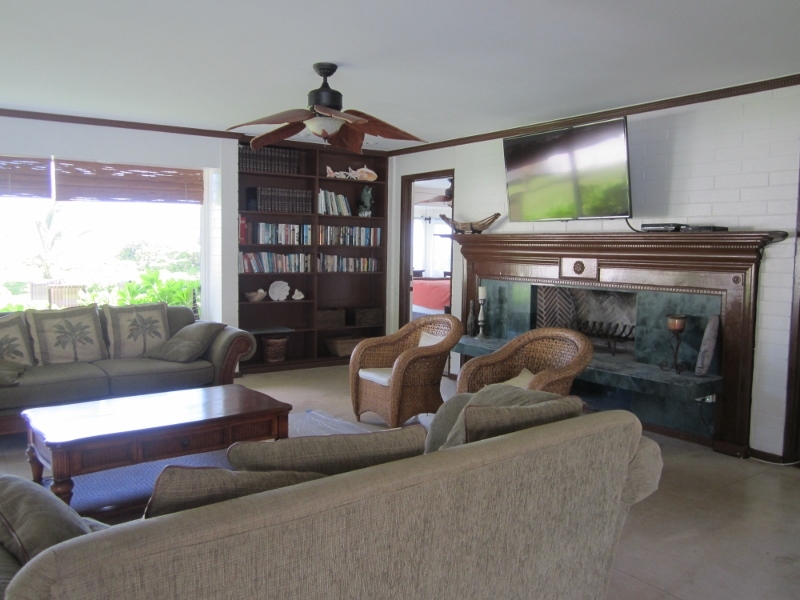 Each of the buildings have private locking doors leading from the room to the private courtyard and then into the main portion of the home. 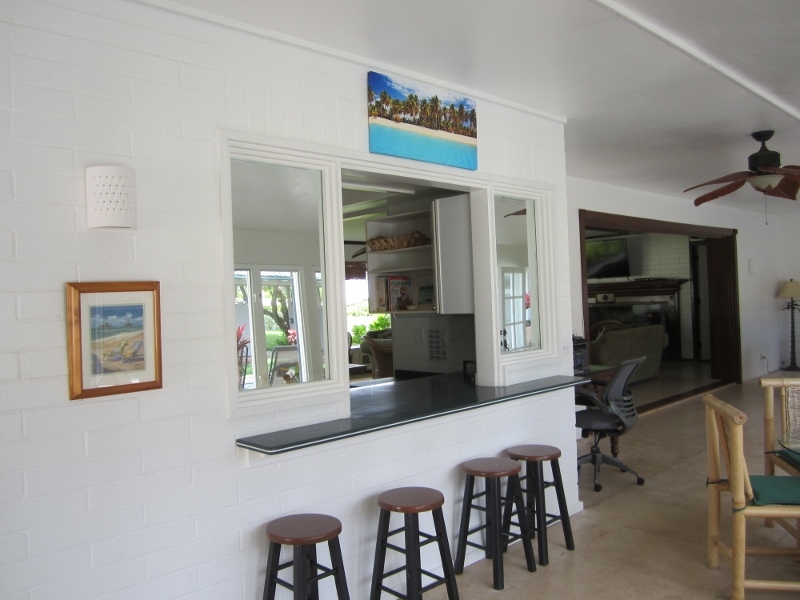 This gives the ultimate indoor/outdoor island living experience. 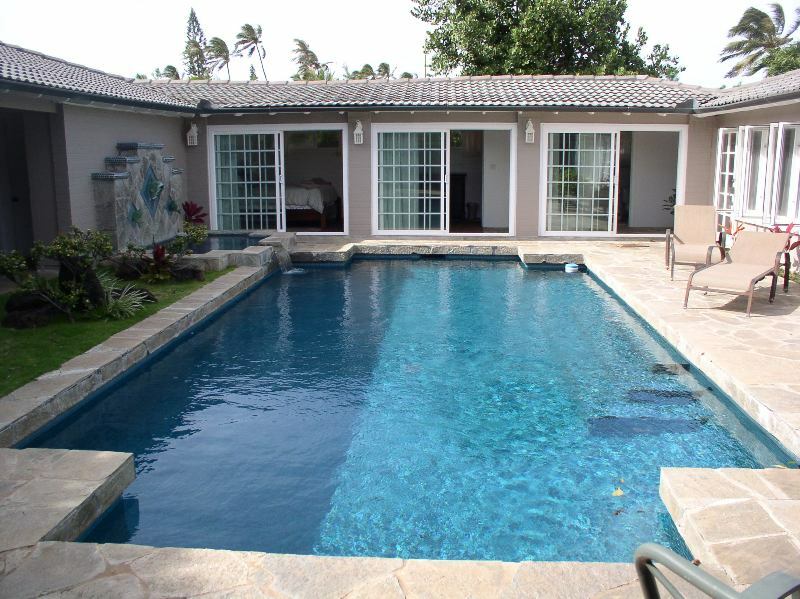 The property features a pool with fountain located in an enclosed courtyard for ultimate privacy. 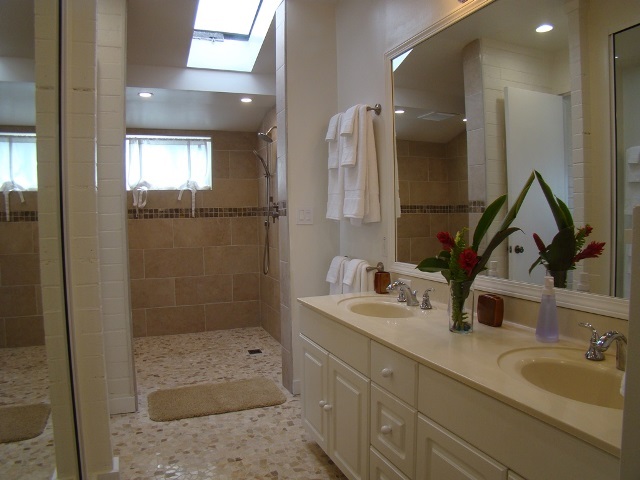 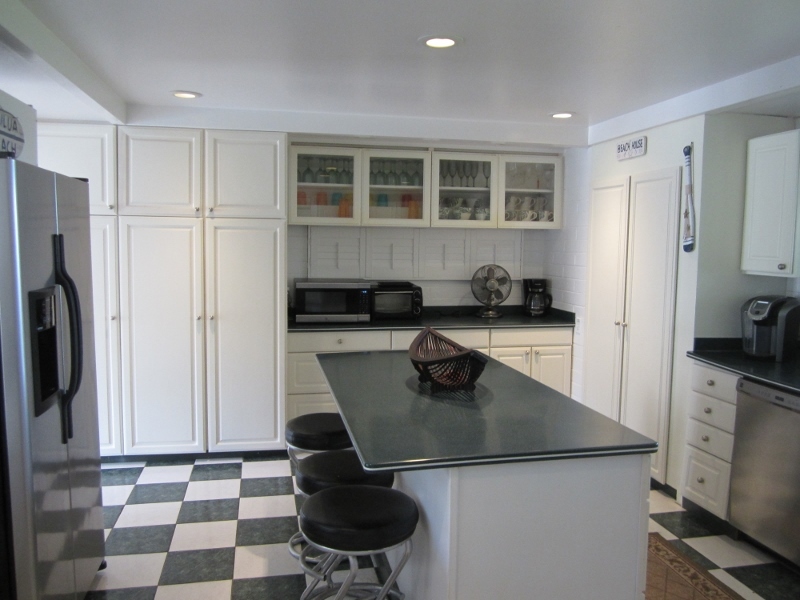 The tropically elegant interior décor is welcoming and comfortable and makes use of marble, granite and tile. 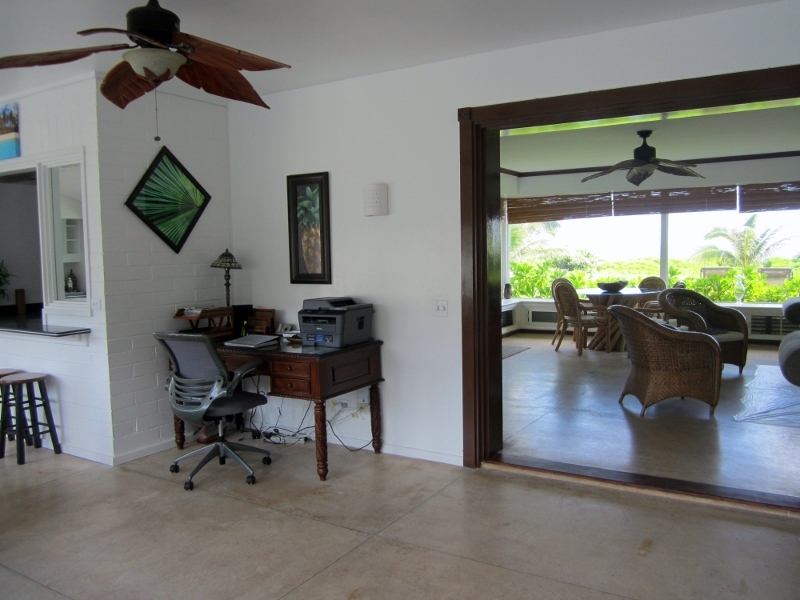 A desk area set off of the dining room is set up with a printer, internet and office items. 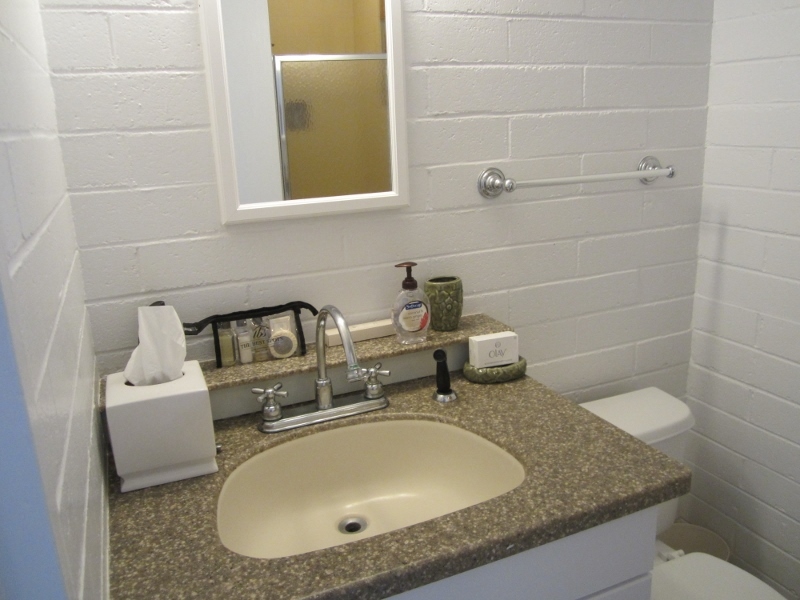 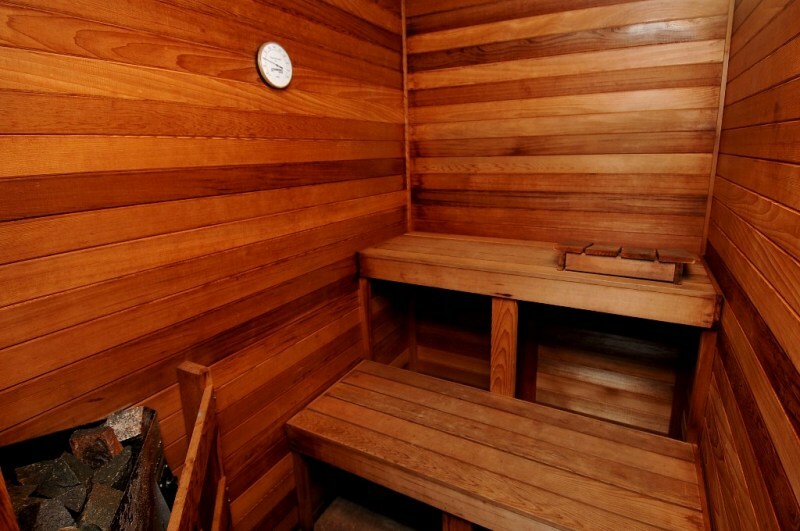 A washer and dryer is located between buildings 1 and 2 for your convenience. 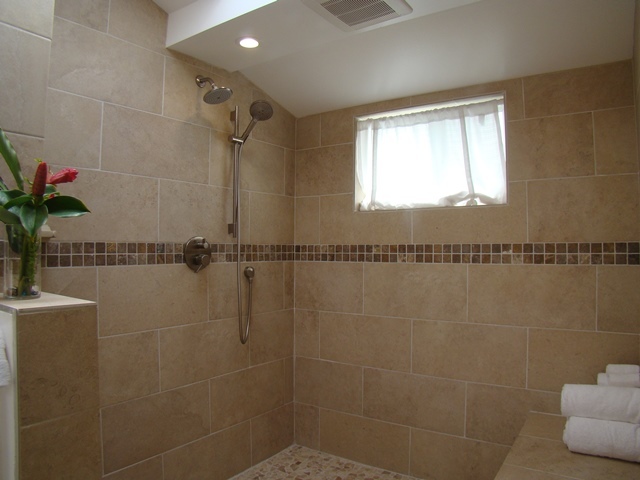 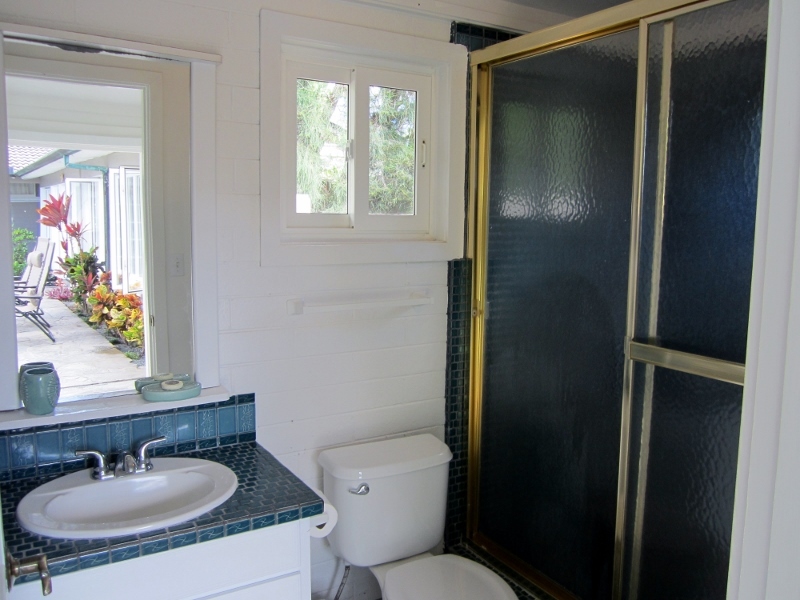 Rinse off after a fun day at the beach with your own outdoor shower. 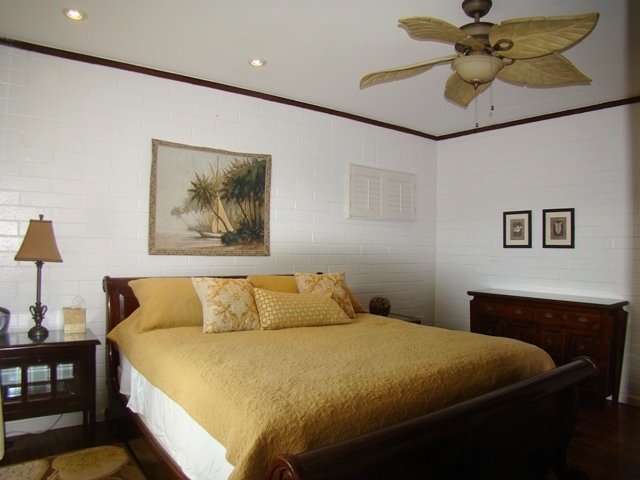 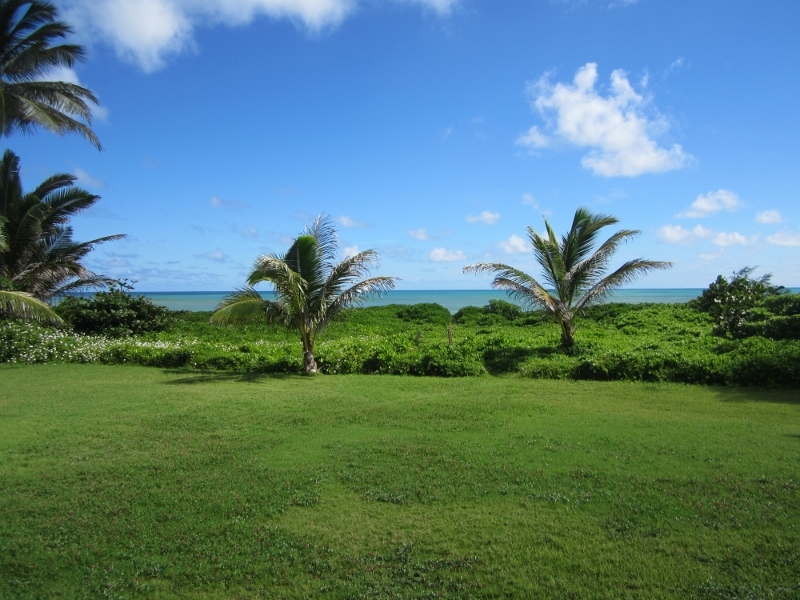 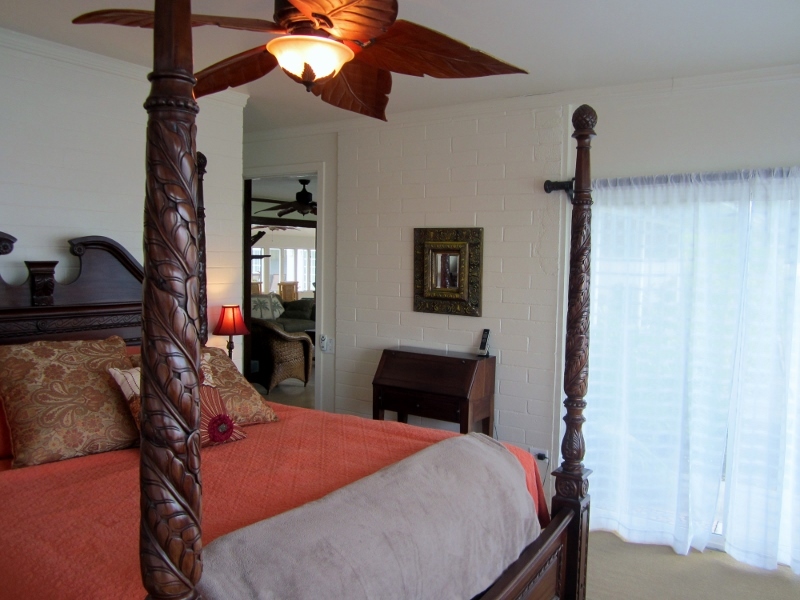 Beautiful ocean views await you from the living and dining areas and from the master bedroom. 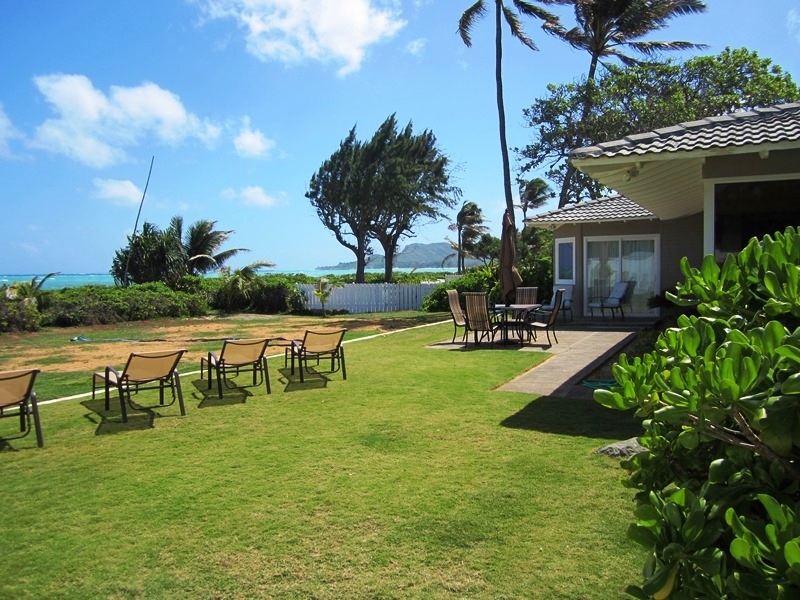 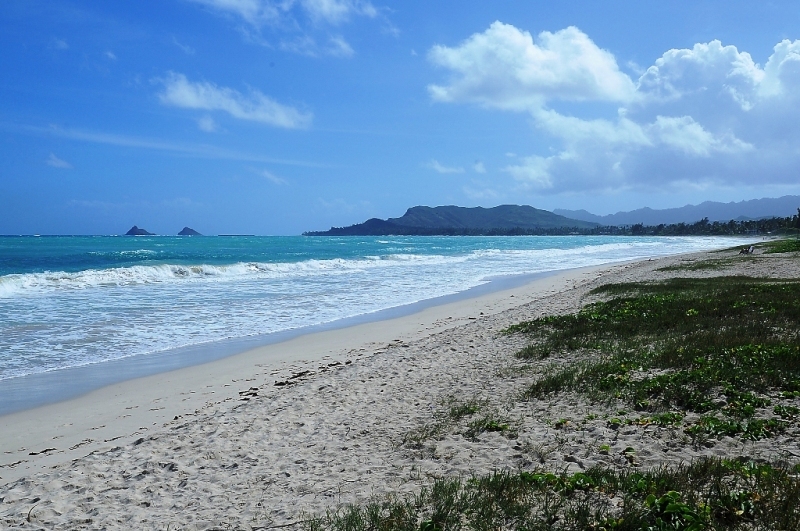 Come and fully experience the luxury of having 100 feet of private beach access to the white sands of world renowned Kailua Beach right from your own backyard. 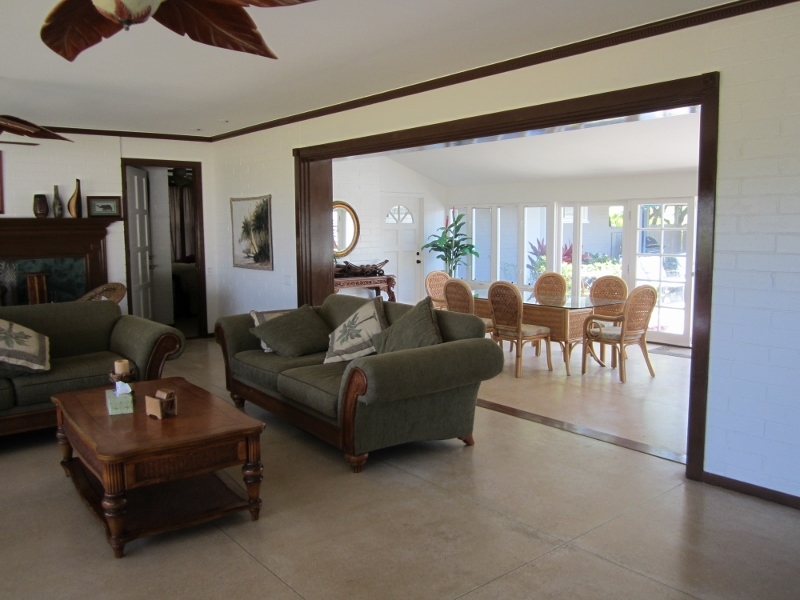 We had a lovely time at the house. 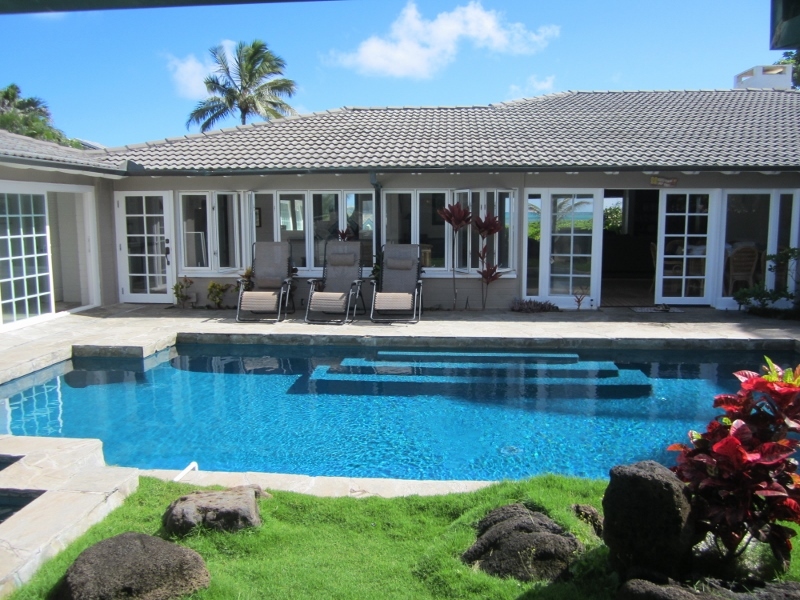 Having the beach, the volleyball, and the pool worked out great. 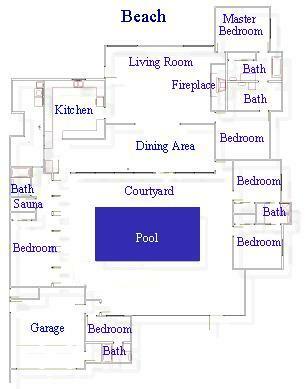 We will be in touch should we be looking to rent it again in the future. 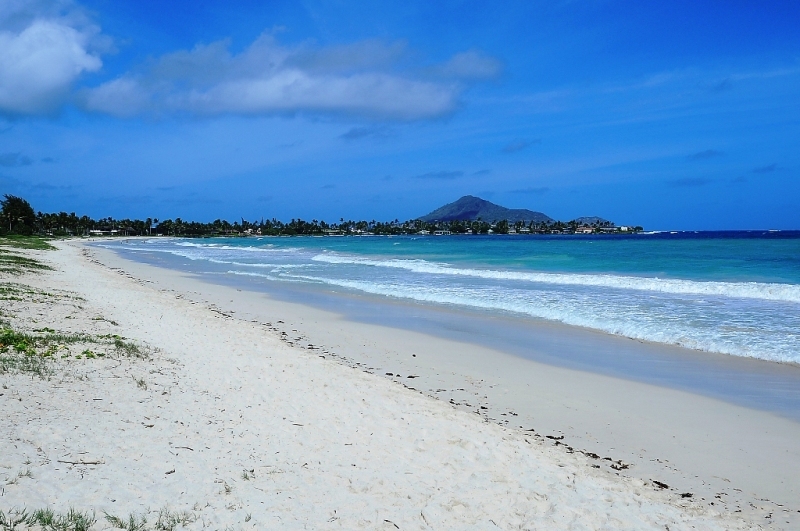 Best family vacation. 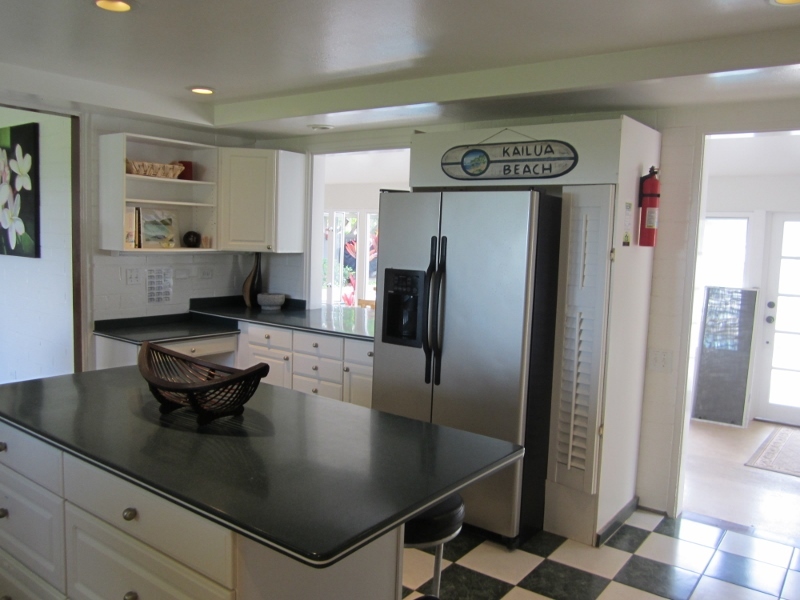 The house was perfect for all of us on our first trip to Hawaii.